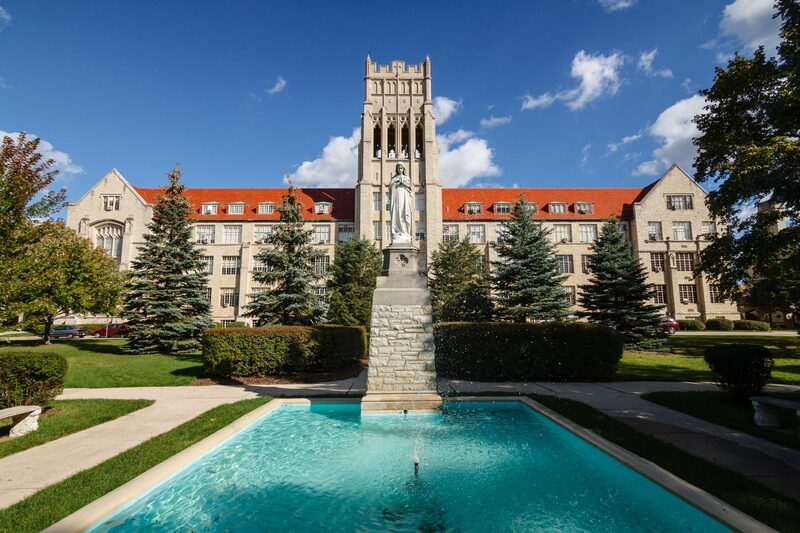 Mount Mary University is a private women’s university located on the northwest side of the city of Milwaukee, directed by the School Sisters of Notre Dame (SSND), a Catholic order of nuns dedicated to the principle of transformative education for women. Over its one hundred years, Mount Mary has committed itself to educating young women grounded in a broad liberal arts curriculum that stresses the values of Catholic social justice teachings while training future female leaders. The university places strong emphasis on four key values: competence, community, compassion, and commitment. Mount Mary’s origins date to 1872 when the School Sisters of Notre Dame created a precursor to Mount Mary named St. Mary’s Institute along the shores of the Mississippi River in Prairie du Chien, Wisconsin at the direction of Mother Caroline Friess. In 1913 the State of Wisconsin granted St. Mary’s a charter permitting the school to become the first, four-year Catholic women’s college in the state to confer bachelor’s degrees. By the mid-1920s, the leaders of St. Mary’s College recognized the potential for growth if the college transferred to the state’s largest city, Milwaukee. In 1926, Archbishop Sebastian Messmer of Milwaukee formally requested St. Mary’s move to his city. The college’s relocation also resulted in a rechristening for the women’s college. During the ceremony laying the cornerstone for the new college, in September 1928, St. Mary’s officially became Mount Mary College. It opened in 1929 with 132 students. As of 2015, Mount Mary University enrolled nearly 1,400 students, comprised of 860 undergraduates and 525 graduate students. In celebration of the college’s centennial anniversary and in recognition of the growth of the school’s graduate program, including the development of a doctoral program in art therapy, Mount Mary’s Board of Trustees chose in 2012 to rechristen the school Mount Mary University. Today, the university offers over thirty undergraduate programs and nearly a dozen graduate programs. The graduate school at Mount Mary enrolls both women and men while the undergraduate program maintains its tradition of teaching only women. Mount Mary prides itself upon a diverse student population. 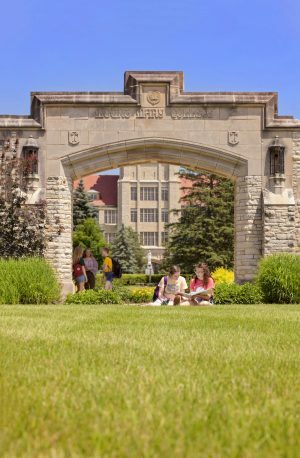 The college has built one of the most demographically rich college communities in the Midwest with nearly 47% of its total enrollees from a minority background. ^ “Mount Mary Vision, Mission, and Values,” Mount Mary University, accessed October 16, 2016. ^ Sister Mary Dominic Cunningham and Edward A. Fitzpatrick, An Autobiography of a College (Milwaukee: Bruce Publishing Company, 1939), 8. ^ “Mount Mary’s History,” Mount Mary University, accessed October 16, 2016. ^ “Fast Facts,” Mount Mary University, accessed October 16, 2016. ^ “Diversity and Inclusion,” Mount Mary University, accessed October 16, 2016. Cunningham, Sister Mary Dominic, and Edward A. Fitzpatrick, An Autobiography of a College. Milwaukee: Bruce Publishing Company, 1939.